From 1981 through most of 1995 I was an official in the Pan American Health Organization (PAHO), which is also the Regional Office for the Americas for the World Health Organization. One of my major responsibilities was assisting Latin American and Caribbean countries in the prevention and mitigation of waterborne and water related diseases, which inherently included working closely with both health and water agencies to achieve improvements in availability and quality of drinking water, particularly in economically disadvantaged areas. This experience provided a unique perspective on the prevention and control of waterborne diseases before, during and after the introduction of cholera in Peru in 1991. For many years prior to 1991, PAHO had been promoting the disinfection of community water distribution systems. Primarily through its Center for Sanitary Engineering and Environmental Science in Lima, Peru, PAHO collaborated with the countries in demonstration and pilot projects for virtually all disinfection methodologies to ascertain their relative efficiency, cost effectiveness and practicality for a wide range of cultural and economic situations. Some methods worked well and others were failures. Chlorination was almost always found to be the most reliable and cost effective. PAHO’s response to the first appearance of cholera was swift. It included a directive to each of the PAHO Country Offices to promote continuous chlorination of all water distribution and delivery systems. Logic guided this decision: chlorine is very effective at destroying the Vibrio cholera pathogen; all of the countries were familiar with chlorination technology; chlorine products were readily available; and chlorination was the least costly disinfection method. 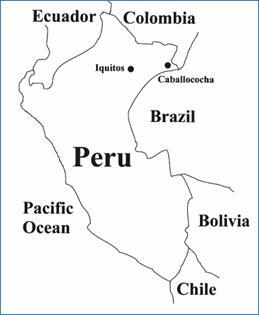 Surprisingly, shortly after the directive to encourage water chlorination, local PAHO officials began encountering pockets of resistance from health officials in Peru and other countries. The resistance stemmed from concern over public exposure to disinfection by-products, a subject highlighted in press releases and published scientific studies widely disseminated by environmental agencies in the developed countries. I met personally with health officials and even heads of water agencies who expressed their concern directly to me; some even feared that they might be subjected to a lawsuit if they chlorinated or raised the level of chlorine in their water supplies. I also encountered this concern among some of the health officials who were participating in cholera workshops and symposia sponsored by PAHO. I was surprised to learn that even officials in small towns were aware of disinfection by-products and their alleged negative health effects. It was pointed out to all that when Vibrio cholera is present in a water supply, the risk of contracting the disease is immediate, and that a resulting epidemic could cause thousands of deaths. In contrast, the hypothetical health risk posed by disinfection byproducts at levels in excess of those recommended by the World Health Organization was one extra death per 100,000 persons exposed for a period of 70 years. Unfortunately, some of these well-meaning, but ill-informed officials had to experience the immense proportional difference in risk before accepting this reality. Time Was Lost: When drinking water chlorination needed to be implemented rapidly, debates ensued about the relative significance of the drinking water pathway for cholera in comparison to other pathways. 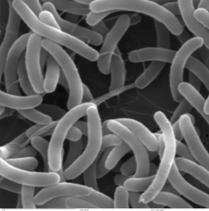 Both practical experience and studies have shown that even if cholera is initially introduced through a pathway other than drinking water (e.g., food, beverage, or ice), the waterborne pathway will soon be activated unless drinking water is continuously disinfected at an adequate level and measures are taken to prevent recontamination. Countries that quickly implemented or augmented chlorination were best able to control the spread of cholera. Those that delayed suffered greatly. Chlorine for Cholera Also Controlled Other Diseases: Throughout the first four years of the epidemic the countries with the highest percentage of continuously and adequately chlorinated water systems had no secondary transmission of cholera, even though the disease was introduced into these countries. There was also an obvious inverse relationship between the percentage of the population receiving chlorinated water and the incidence of new cases of cholera. In one country with excellent long-term monitoring in place, it was found that after implementing cholera prevention measures, there was also a significant reduction in typhoid fever and infectious hepatitis. Household Point-of-Use Treatment Proved Effective: In areas of abject poverty lacking a central water distribution system, PAHO partnered with the US Centers for Disease Control and Prevention and the University of North Carolina to pioneer a method to purify available water at the household level. For less than $2.00 per year a family could treat raw water with calcium hypochlorite in containers designed to avoid subsequent contamination during storage and use. Not only did this prove effective in Latin America but it led to global health organizations adopting this and similar programs as viable interim health measures for developing nations in Africa and Asia. Protecting Public Health is a Matter of Balancing Risks: Steps taken to reduce potential harm often include uncertainties, a reality embodied in the Precautionary Principle. A true precautionary approach means that you do not discard a proven health intervention in deference to uncertainties associated with low potential risks from those interventions. In the case of the Latin American outbreak, uncertainties associated with health effects from exposure to disinfection byproducts prevented a realistic balancing of known and uncertain risks, resulting, sadly, in far too much death and suffering. My hope is that the experiences of Latin American cholera epidemic of the 1990s have inoculated us against a repeat of this tragic chapter in global public health history. I speak from experience. I was there. 1 The cholera epidemic in Latin America (1992). Tidsskr Nor Laegeforen; 112(14): 1843-6. (In Norwegian, but English abstract available online: http://www.ncbi.nlm.nih.gov/pubmed/1631846).